This week, in this post, I am doing something different, focusing on the written word rather than images. Every so often, I get the urge to write about something other than travel or photography. This is one of those times. Awhile back, I got an email from my blog host, WordPress, that another person registered to follow my blog. As usual, I clicked on the sample links on the WordPress email that are designed to introduce me to that follower’s blog. The blog site was identified as “Village Teacher”. It turns out that the blog’s author, Nguyen Trong Hien, who writes under the name ‘neihtn’, is a published author as well as an IT specialist and photographer. You can read his “About” page here. From there, you can navigate and explore the rest of Hien’s blog. 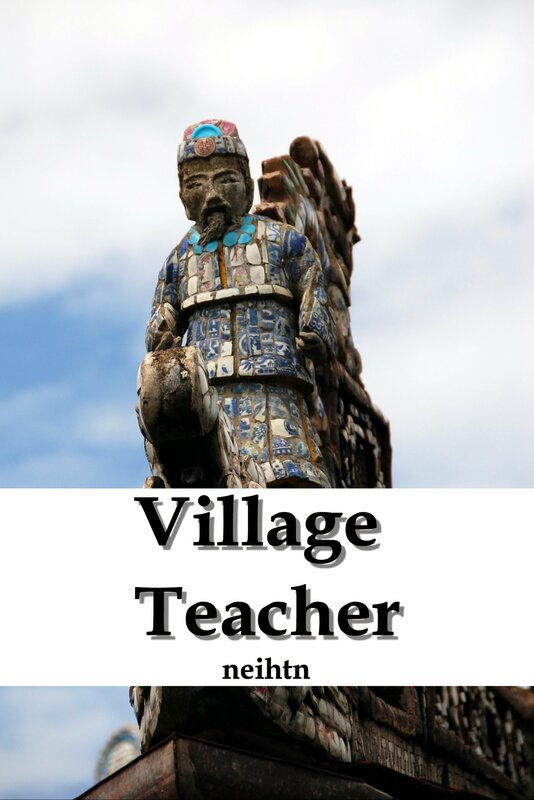 Village Teacher is Hien’s labor of love, and after four years of “spare” time writing, his historical novel is now available on Amazon.com in eBook and in paperback formats. A resident of Princeton, New Jersey; Hien would like to continue to write and publish. If his first book is any indication of his tenacity in this regard, we can expect to see more of his work in print. After he and I visited via blog comment/response and email, I was offered a review copy of Village Teacher. Never one to look a gift horse in the mouth, I accepted graciously. After finishing what was, in my opinion, a very good read; I decided (with no prompting by Hien, by the way); to write a review of the book for my blog. I don’t read a lot of fiction, my taste tending more toward technical books, technology, aviation or photography. However now and again, I take some time to read fiction. I have a small library full of novels, both physical and virtual, that I have read and many that I never finished. Most recently; my completion rate for my favorite author of fiction, J A Jance, is 100%. (I’ve finished every one of her books that I started, not that I’ve read every one of her books.) Given that background, you might surmise that had I seen it in the library or book store, Village Teacher is probably not a book that I would have chosen to read. You would have been correct. Hien’s novel takes place in late 19th century Viet Nam, while my genre of choice is mystery fiction, tending toward good old fashioned American detective and cop stories. Passing over Village Teacher, however, would have been my loss. In the novel, we meet Teacher Tam, a young scholar who has taken leave of his teaching assignment to travel to the Capital to sit for examinations that, if successful, could enhance his social status and provide him with a leadership position either in his home region or maybe even at the national level. During the several weeks of assessments, Teacher Tam rescues a “damsel in distress” who ultimately becomes the love interest in the novel. The book is filled with lots of political intrigue, civil unrest, corruption and greed among the antagonists, and a collection of bad guys who would just as soon have Teacher Tam taken out of the picture. Along the way, Hien coaxes the reader through the lifestyles of the classes and the masses in 1890’s Viet Nam. The historical background is provided to allow the reader to understand the forces that are affecting Teacher Tam in the world in which he lives. I learned a lot about the history of Viet Nam in the French colonial period. Prior to reading about Teacher Tam, my only personal knowledge of Viet Nam came to me as a college student in the Viet Nam war era and succeeding years. Village Teacher provided for me a greater understanding of the people of Viet Nam and their historic culture. I can recommend this book to anyone who has a love of history, especially Asian history and culture. The historical portions may be a bit too detailed for the casual reader, but having said that, those passages provide the necessary background for the reader to truly understand the story of the life and times of Teacher Tam. Great write up. I too read Village Teacher having been intrigued by its Viet Nam setting when the French occupied the country. I loved the historical detail, ethics, and tenderness of the tale itself!! I agree, a very enjoyable read!! I really enjoyed reading the Village Teacher from the beginning to the end! Thank you for the wonderful book review! I’m currently reading and enjoying Village Teacher. I find it a fascinating story about a place and time in history about which I knew very little.